Joseph is a seasoned legal and financial professional with over 25 years of experience advising and counseling individuals and businesses, not only as an Attorney and Judge, but as a CERTIFIED FINANCIAL PLANNER™ Professional as well. With integrity and ethics as his guiding principles, his goal is to be his clients’ primary trusted advisor. He is committed to quality and personalized client service. Joseph is currently a licensed and highly experienced attorney admitted to the Arizona, Florida (inactive) and various Federal Bars. He is a Judge Pro Tempore in several courts and has also been appointed as an Interim Presiding Judge, Associate Judge and Tribal Judge. He holds FINRA Series 7 and 66 securities registrations with LPL Financial, as well as Life/Health/Annuity Insurance licenses. In his tenure as an attorney, he has held the titles of Litigation & Bankruptcy Department Director, Assistant State Attorney, Assistant General Counsel, Senior Attorney, Assistant Statewide Prosecutor (Organized & White Collar Crime), Special Assistant Attorney General (conflict matters), and advisory counsel for regulatory boards such as Boxing Commission, Veterinary Board, Board of CPA’s, and Real Estate Board. 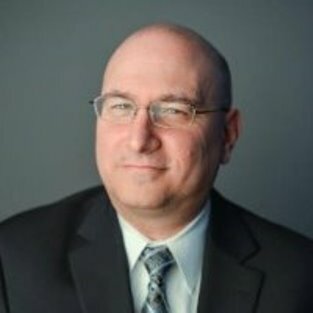 Leveraging his diverse financial and legal background, Joseph offers a perspective and depth of knowledge that is unique in both the legal and the financial services industries. Joseph has hosted a legal/financial television program and authored a newspaper column; both called “Estate Planning.” He was named a Five Star Wealth Manager in Phoenix Magazine and is regarded throughout the Phoenix area as a highly competent and ethical attorney, judge and financial advisor. Joseph graduated from Rutgers University with his Bachelor’s degree and received his Juris Doctorate degree from NSU, Shepard Broad Law Center in Florida. He attended the College for Financial Planning as well as the National Judicial College, where he has also been a faculty member. He and his wife have resided in Arizona since 2001 along with their twins who are the love of his life. Joseph’s passion for community service is evident from his service as a Judge in multiple Arizona courts for many years, as well as his time volunteering on various boards and committees for financial, legal, judicial, educational, youth and non-profit organizations, such as Sun Health Foundation where he was named a Foundation Fellow. To hire Joseph or one of our other qualified freelance attorneys, please fill out the form below.